We are all eagerly anticipating the release of Cassandra Clare’s new book – Lady Midnight – and today Cassie took to her tumblr to answer a few questions about special content in first editions. You may remember that the first editions of Clockwork Princess and City of Heavenly Fire also had special content – the family tree and two different comics. There is mention in Lady Midnight, when one of the TMI characters drops by, that the characters have come from a party. I decided to write the short story of that party, so we could check in more thoroughly, emotionally with the TMI characters,to see what’s going on with them and how it ties into the events of TDA. It’s a chance to check in on couples, life, politics, and just see how things are going for everyone: we’ll obviously see Jace, Clary, Magnus, Alec, Bat and Maia, Simon and Isabelle, baby Max, Jocelyn and Luke and Lily and some of the characters from Tales from Shadowhunter Academy — and, it’s not just any party; the night contains a marriage proposal for one of our couples. The story will exist only in the first edition of Lady Midnight; All hardback first editions in English of Lady Midnight will have, printed at the end, this short story. The best way to make sure you get a first edition is to pre order. You can do this online. Is the version that’s bookable on Amazon the one with the special short story? “All hardback first editions in English of Lady Midnight will have, printed at the end, this short story”. I have linked to the hardcover edition of Lady Midnight and if you preorder this one, then it will have the short story. I already pre-ordered this book on Amazon. I pre-ordered this on Amazon. I thought Cassandra Clare said The Dark Artifices and The Last Hours covers would match both the original covers and the new ones but to me they look more like the new covers. 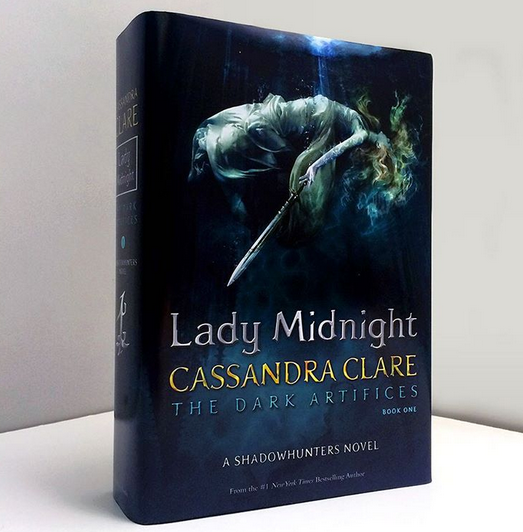 Caddie said that the covers for The Dark Artifices and The Last Hours would match the old and new covers, but in my opinion I think the Lady Midnight cover matches the new covers a lot more than the old ones. I pre-ordered it the same day it came out to! I hope that its a Clace wedding. Oh please be a Clace wedding! Oh shoot, now we have to wait. Thank you for correcting me! Do you know whether Hispanic first editions will have this?